My 48 Hour Foodie Guide: Las Vegas Strip is a roundup of my tried and trues favs. This is not just a round up of the most expensive restaurants and bars, my friends. These are my regular haunts, the ones I rely on and the ones that always go above and beyond. Ready to party rock? It’s hard not to get lost in the giant casinos and abundance of food and drink at every turn. 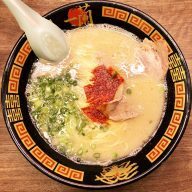 Honestly, it took me a handful of times to figure out how avoid overpriced mediocre food and get the true deliciousness at restaurants/bars that I can keep going back to time and time again. 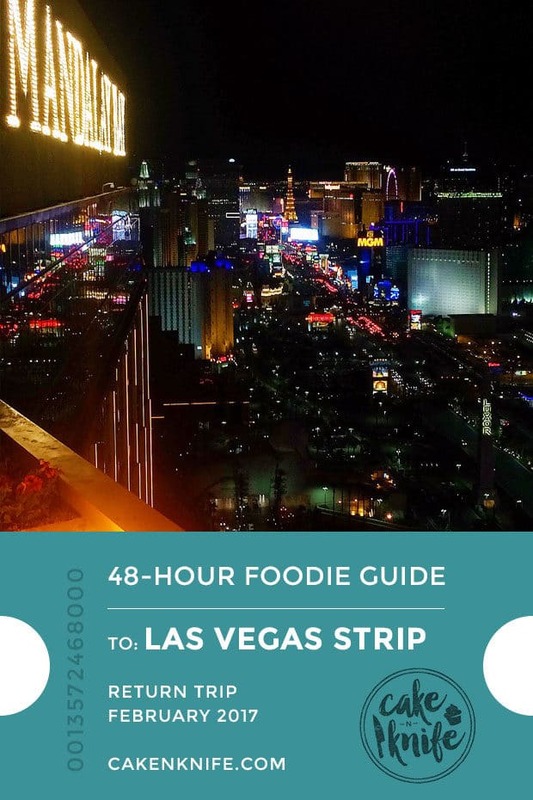 The Strip can be a little overwhelming, but with my 48 Hour Foodie Guide, you have a no-fail list to get you fed, liquored up and entertained between all the gambling, clubbing, and getting-into-trouble activities you have planned. Whether you play it tame or take a gamble on a weekend that absolutely has to “stay in Vegas”, you at least know where your next great bite can come from. 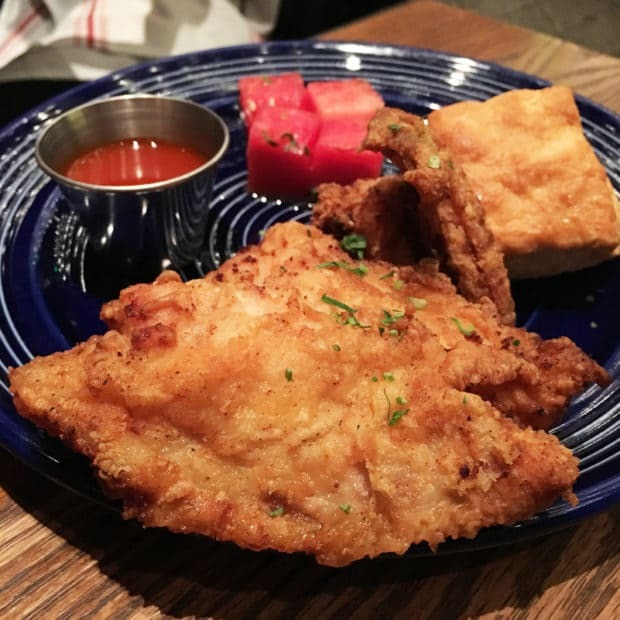 Located in the Venetian, I was pleasantly surprised by the Southern comfort food that Yardbird serves up. The Biscuit Fried Chicken Sliders do not disappoint, along with their killer fried chicken plate. Just make sure you grab anything that comes with a side of pickled watermelon – it is fantastico! 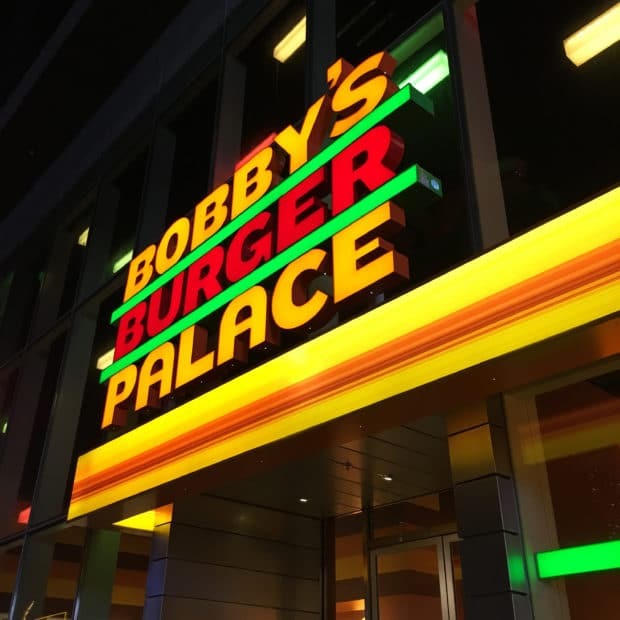 Even though I hit Bobby’s Burger Palace right around 11pm, the burger I chowed down on pulled me through my tipsy haze into serious tasty reality with the first bit. I had a Bacon Crunchburger, complete with bacon and potato chips on top (yes, it’s as good as it sounds). It’s a bit of a hike just past The Shops at Crystals CityCenter, depending on where you’re staying. If you have a chance, saddle up at the bar and ask for one of my fav bartenders EVER – James. Totally made our night insanely memorable! I’ve been hitting this little spot in The Cosmopolitan for a few years, since those first insane trips I used to go on for work. 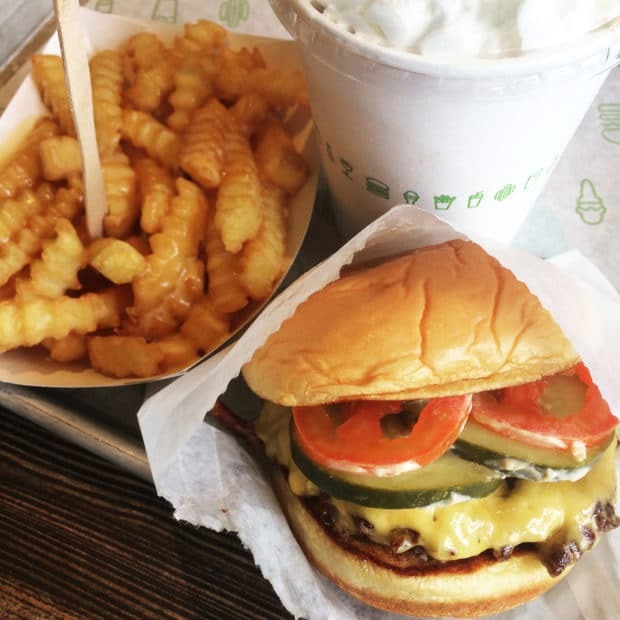 It was perfect for a quick bite, especially because you can order your meal to-go. For a girl working tradeshows and spending the occasional night in the hotel room working, it was a yummy godsend. Their beef tongue, carnitas and cochinita tacos are a must-try, as are the spring rolls and wontons! Best sushi on the Strip in my humble opinion. Located in the Bellagio, you can literally order anything off the menu and be oh-so satisfied with the choice you made. I especially recommend their scallops appetizer, spicy miso soup and the Crispy Kalbi roll (a short rib roll which I never thought I would recommend but WOW was it good!). The fish is incredibly fresh, so make sure you order plenty of nigiri too! Plus, you can’t beat the view of the Bellagio fountains (pst take your date here!). Whenever I go to Vegas, I occasionally run into the “yes, you made a reservation but you still have to wait an hour to eat” runaround at some of the bigger hot spots on the Strip. Needless to say, this is a pain when you are starving and have a show to cram in. SUGARCANE was a random surprise that we walked by in the Venetian and I swear, the scent of great food is what lured us in. Without a reservation, they squeezed us in at the bar despite being packed. The staff was incredibly accommodating, helpful to get us in and out, and the food was BOMB. 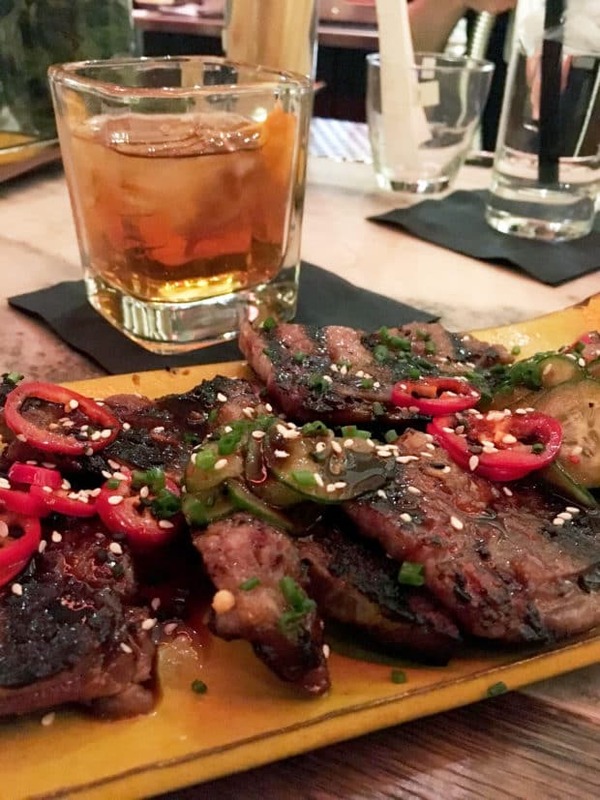 From the short ribs to spicy skirt steak to one of my fav Vegas Manhattans ever, this spot really blew it out of the park. Because 3am burgers are a thing here, along with shakes and fries and insanely GREAT people-watching. 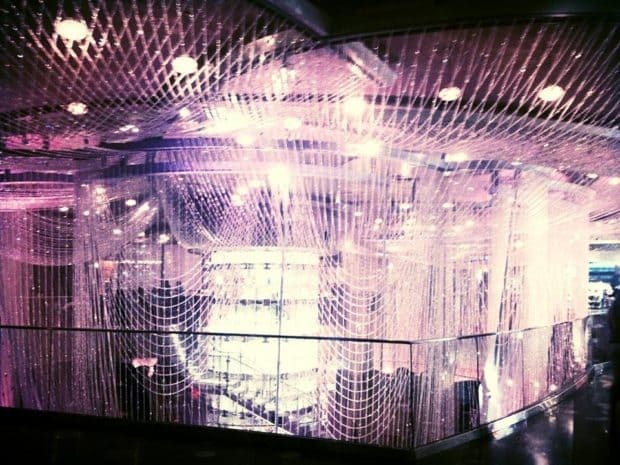 I can’t lie… The Cosmopolitan is my favorite casino, primarily because of the over-the-top sparkling beauty of the Chandelier Bar. 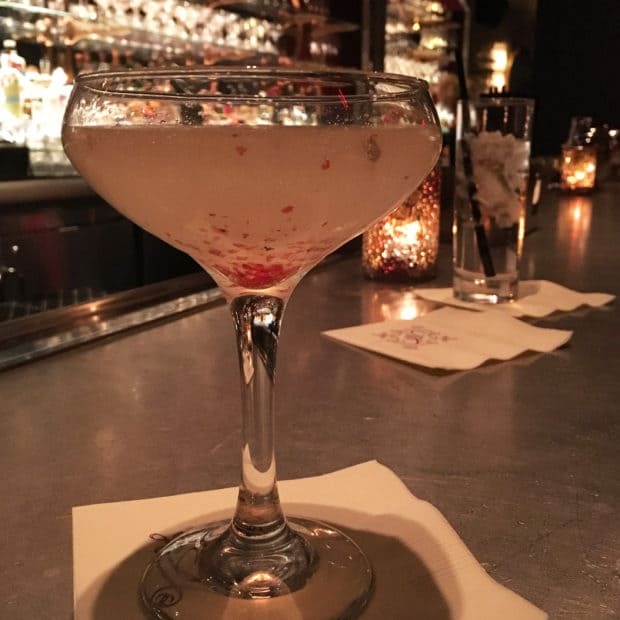 This place is so fancy and fun to grab a cocktail when you are doing Vegas date night or a weekend getaway with the girls. Their classic cocktails are approachable without being uppity. 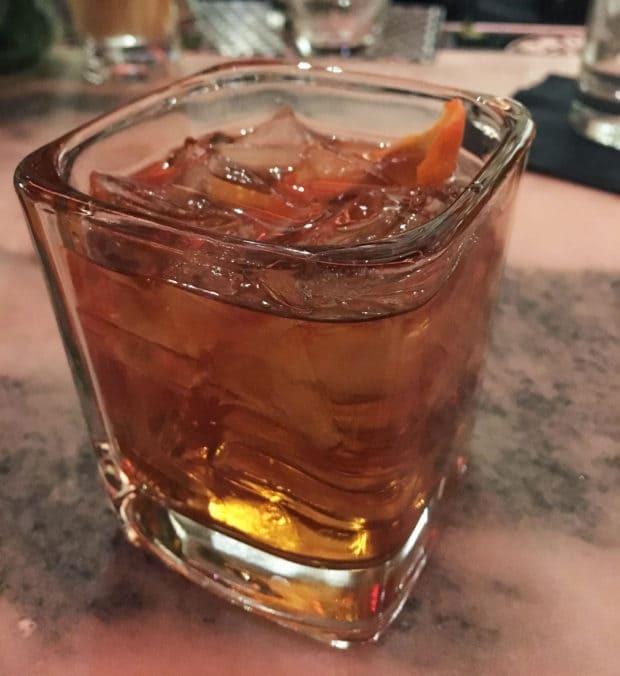 If you want fancy cocktails on the strip that are actually QUALITY cocktails, I couldn’t recommend this place more. 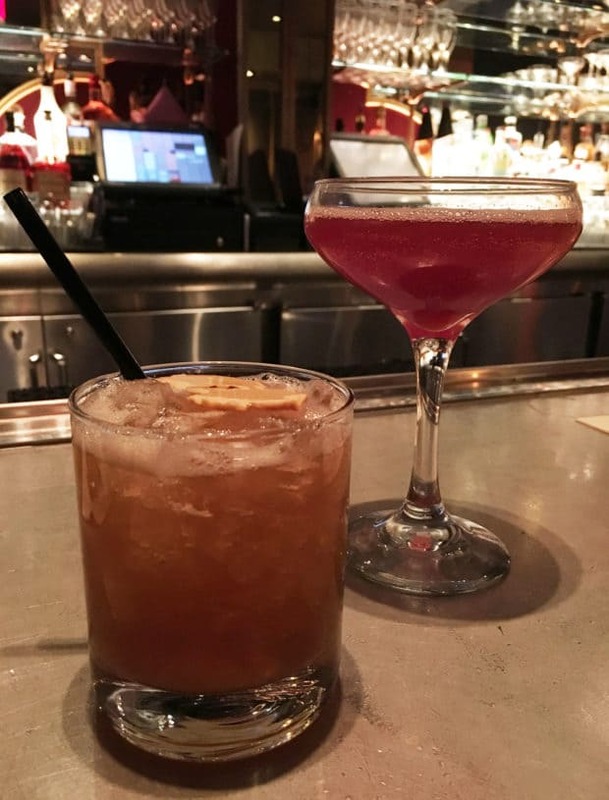 The Pink Panther with pink peppercorn really surpassed my expectations and the Woodsman with muddled pears was just the invigorating boozy hit I relish. Sitting at the bar really had its benefits because the bartenders know their stuff and, if you are engaging, you’ll find yourself getting samples of handmade cocktails, tasting herbs and smelling more bitters flavors than you knew existed. PLUS it’s a hidden speakeasy. In Vegas. In a sparkling casino. ‘Nuff said. If you want to drink and snack on the cheap, hit up Cabo Wabo Cantina for happy hour from 3pm to 6pm during the week. Drinks specials and half off appetizers are just what the doctor ordered to cure a hangover. Just sayin’. 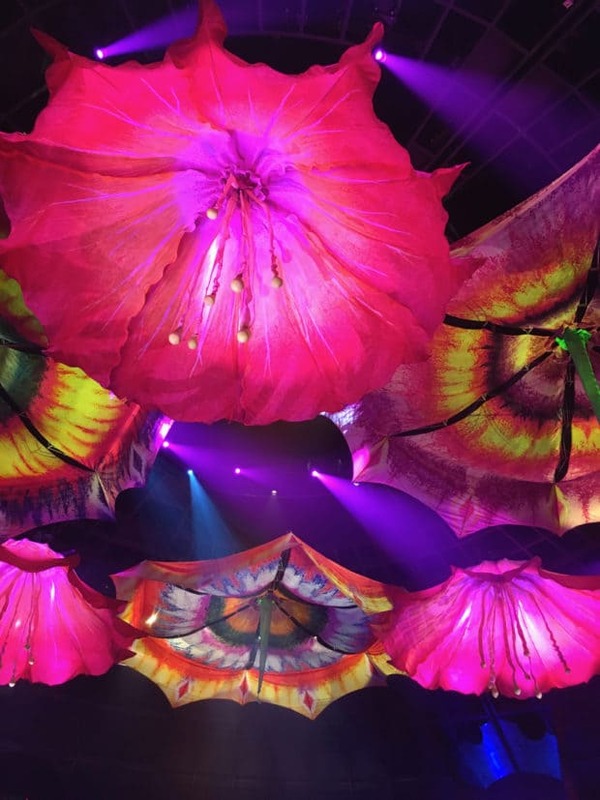 If you are going to catch a show, get wow’d by the Cirque de Soleil shows up and down the Strip. LOVE at the Mirage, O at Bellagio, La Reve at Encore; the list goes on and on. They are all so enthralling and captivating, it’s crazy not to go to one! I particularly recommend seeing O because the things they can do in the water are mind-boggling. 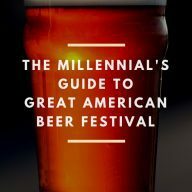 Even if you don’t love the Bell, you need to hit the new Taco Bell Cantina on the Strip, if only to be a total tourist and grab a giant frozen margarita (hint hint: there’s a Walgreens next door to load up an extra shot if you want to get the party started without paying insane prices…. just sayin’). It’s definitely the nicest Taco Bell I’ve ever been in and they have a ton of frozen boozy drink flavors to choose from. 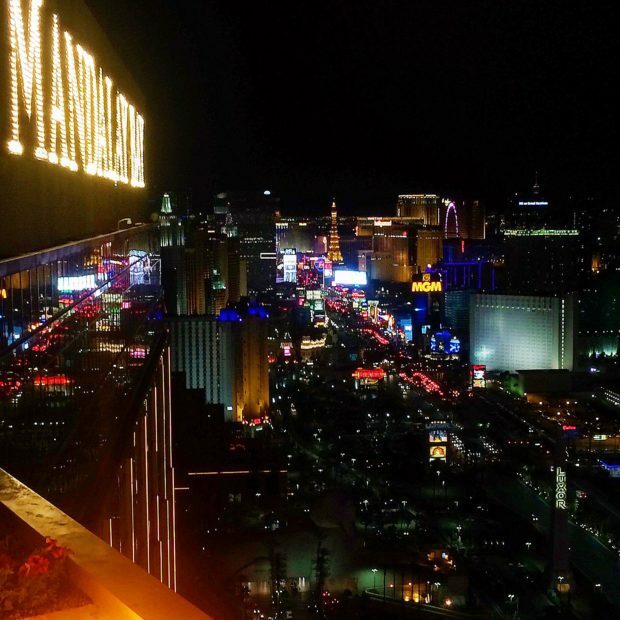 The best view of the Strip in my opinion is The Foundation Room at the top of Mandalay Bay. You get the whole thing with all the lights on their outdoor patio! Plus, this is one of my favorite clubs that doesn’t simply pulse with crazy EDM music all night long. Who doesn’t need a snack? 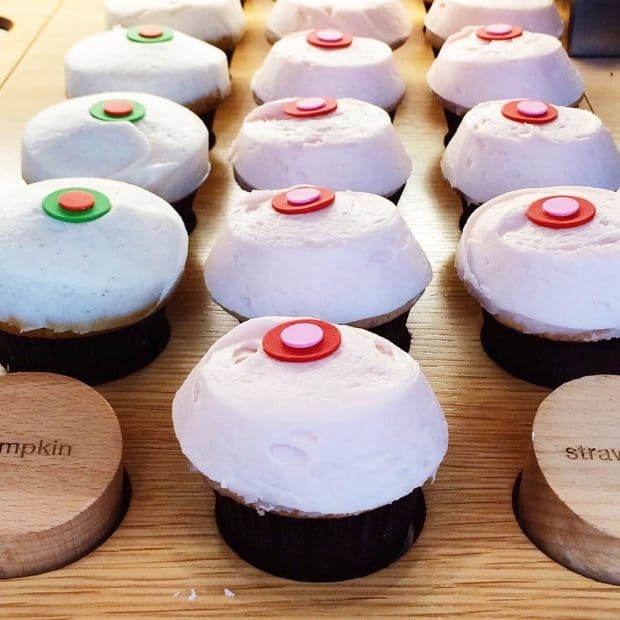 The Sprinkles Cupcake ATM is how I get my sweet tooth on. 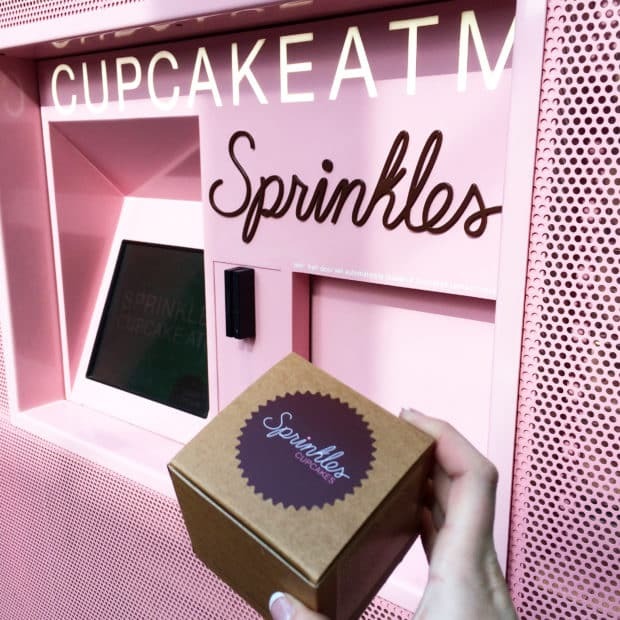 Sprinkles is already famous for their cupcakes, but their fun self-service ATM gives you a cupcake without the hassle of going into the bakery itself. Get the red velvet, because DUH. The new suites at Encore boast killer views of the Strip, a good location on the Strip without being too far from the Fremont Street area (one of my favorite areas in Vegas! ), and a interior that doesn’t overwhelm you with too much gimmicky theme elements. If you want to stay at the other end of the Strip, the Cosmopolitan is where I always vote to stay. The rooms are exceptionally comfortable, there is great food and drink right inside the casino, and you are in the heart of the action on the Strip. 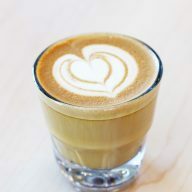 Note: it’s impossible to put alllllll of my Vegas recommendations into one 48-Hour Foodie Guide, SO I would love to hear any extra recommendations you have in the comments below! Where do you like to eat, drink, and stay on The Strip? Pin this 48 Hour Foodie Guide: Las Vegas Strip for later!